London is a huge city with many different suburbs and neighbourhoods to explore. You’ll come to find that different areas of the city have very different vibes, and you’ll soon get used to what’s referred to as north, west, south and east London, and understand phrases such as ‘south of the Thames.’ Here we explore Willesden Green. Our area guides are designed to give you an insight into the diverse neighbourhoods of London to help you decide where you’d like to live. Your location in London will determine how easy it is for you to get to your classes, where you will go shopping and the kinds of people you’ll meet. The area will also change the type of homestay property you’ll be staying in, for example a townhouse, period property, housing estate or modern contemporary home. Read on to find out more about Willesden Green and if it sounds like the type of neighbourhood you can see yourself living in. Where is Willesden Green located? Willesden sits in North West London close to Wembley and Hampstead. It is included in the London borough of Brent and is five miles from Charring Cross. It is a thriving suburb as it is leafy with great transport links into central London and the rest of the city. Its direct neighbours are Cricklewood, Kilburn, Queen’s Park and Kensal Green. What is the typical type of accommodation found in Willesden Green? Buildings with old fashioned London charm can be found here on tree lined streets. Period homes are terraced but usually very large, which makes sure these spacious family houses are in high demand. Some of the larger period properties are three storeys and have up to seven bedrooms, which are ideal for renting out to single professionals. How safe is Willesden Green? Residents describe the area as a safe and friendly place to live with a community feel. It’s important to be vigilant at all times anywhere in London, but Willesden Green is one of the safest neighbourhoods. The crime rent in the borough of Brent is lower than average for the city as a whole. What type of people live in Willesden Green? London is renowned for being an inclusive cosmopolitan city, where you will find every nationality and ethnicity under the sun. This area of London has a longstanding Jewish community, as well as strong links to Ireland so you may hear the Irish accent quite often. Willesden Green also has an afro-Caribbean community so you’ll also notice specialist hair salons and food shops catering to this market. Willesden Green is a top spot for families as it offers large family homes and there are a number of parks nearby – Gladstone Park, Roundwood Park and King Edward VII Park. The quality of housing and fantastic transport links also make Willesden Green a great place to rent. This has attracted a lot of affluent young professionals and couples. As with the majority of London suburbs this area is diverse and multicultural, but you’ll mainly spot middle class young families and professionals in the local community. What transport links does Willesden Green offer? Willesden Green has two underground stations offering access to the busy Jubilee line, Bakerloo line and overground trains. 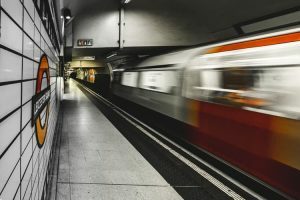 You shouldn’t have to walk too far to jump on the tube and central London is a short distance away – Baker Street station is just a ten minute ride. The area is very well connected which is why it has become such a popular place to live. Wherever you need to travel to, you should be able to find a convenient route from Willesden Green or Dollis Hill station. North West London is renowned for its collection of independent cafés and shops and its sense of community. Here are some of the cultural landmarks and local hangouts you need to try if you choose to live in Willesden Green. Independent cinemas are hard to come by in the UK, and this award-winning one screen cinema is located right on Willesden’s doorstep. The Lexi screens the latest blockbusters, opera, foreign films and special events. It’s mostly run by volunteers and the profits go to a charity in South Africa. This stunning religious building needs to be seen to be believed. On Saturdays it holds prayer meetings attended by a 2,000 strong community, but anybody is welcome to look around at the architecture inside the mandir and view the Hindu exhibition at other times. The community centre connected to the temple is often used for yoga classes, study groups and community clinics. This might sound like your average shop but it’s actually the neighbourhood’s coolest bar. Expect cocktails in jam jars and a speakeasy vibe, perfect for starting off the weekend. A lovely little independent Italian restaurant with a great atmosphere. Sanzio is located right by Willesden Green tube station so you can drop in on the way home from college for a delicious meal before heading home. With historic properties and lots of culture to soak up, Willesden Green offers cosmopolitan living as lose to central London as you’ll get. If you are an overseas student, intern or professional looking for homestay accommodation (“host family”) in Willesden Green or close by, we would love to hear from you. 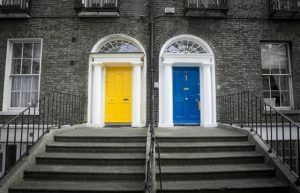 Similarly if you are a homeowner in the area with a spare room and interested in becoming a host family to international students, please do get in touch with us.